In 2018, the Japan Foundation was host to over 11,880 visitors to our gallery exhibitions, film screenings, lectures and events. All of these would not have been possible without the generous help of our volunteers. As part of National Volunteer Week 2019, we would like to take the opportunity to publically acknowledge you. Thank you for dedicating your time, energy and skills to support the programs and services which the JFT offers. You are instrumental to our work and we couldn’t do it without each and every one of you. To all our volunteers- we truly appreciate and sincerely thank you for all that you do. 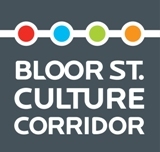 Read about one of our Super Star volunteers who was interviewed by the Bloor Street Cultural Corridor. Favourite part of volunteering with JFT: My favourite part of volunteering with JFT is that I have a sense of being a part of the community. It’s a pleasure to interact with visitors who have an interest in Japanese culture. I also enjoy meeting staff members who are talented and have different backgrounds. Memorable moment with guest/patron: It’s hard to select one memorable moment. I have gotten many interesting and sometimes unexpected questions. The most memorable question was a patron asking if, in Toronto, she could buy a ladle that’s used at a temple to cleanse ourselves. She wanted to use the ladle to cook.